Well 14 days of the #slimfastchallenge are up and Monday morning was the final weigh in. I have held off weighing myself all week so this week’s weight was a surprise. I jumped on the scales and was really disappointed. I’ve lost 4lbs in 2 weeks. Normally I wouldn’t moan about losing 4lbs but I’m disappointed as I weighed myself on day 5 and had lost 3lbs. For an additional 9 days of dieting I was expecting more than a 1lb loss. I’ve followed the diet to the letter and even tried harder with my exercise for the past 2 weeks. I was expecting to lose more than 4lbs on such a low calorie diet. I will reserve judgement for another week though as I suffer terribly with water retention and bloating once a month. The perils of being a woman mean that most months I can put on several pounds which disappear a few days later. I haven’t minded doing Slim Fast as I’m so busy during the day that grabbing a bar or shake is easier than fixing a meal. I’ve not really felt hungry and I’ve enjoyed creating evening meals for under 600 cals. But, I did feel like I was consuming quite a lot of sugar. The shakes and the snack bars had very high sugar content and I was permanently left with that strange taste in my mouth that you get when you’ve eaten too many chocolates! 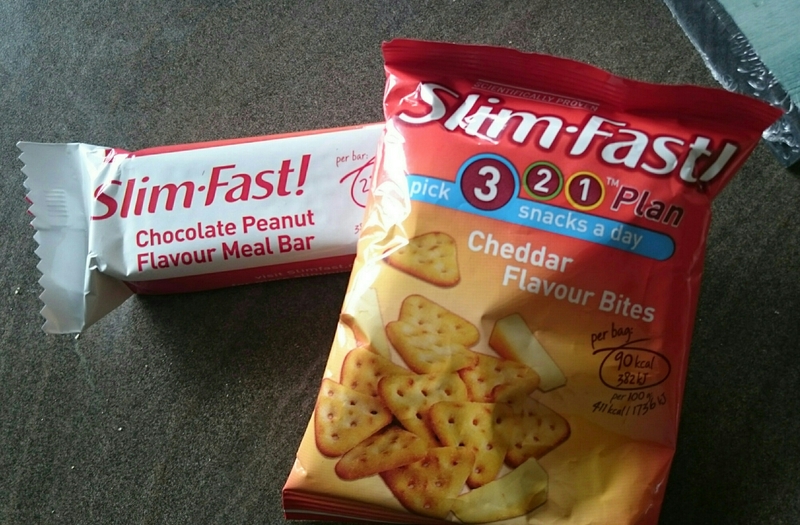 Maybe because of the disappointing weight loss I’m feeling that Slim Fast wasn’t great for a quick fix diet. I’ve done both Weight Watchers and Slimming World in the past and have lost more in the first 2 weeks of being on those plans. I also feel they promote better eating habits and sustainable weight loss. I fear my 4lbs lost is going straight back on again! Thank you to Slim Fast for giving me the opportunity to try out the #slimfastchallenge. I have lost an awful lot of weight in the 10 months since my twins arrived. I weighed myself on the morning of my c-section and to date have lost 6 stone 7lbs. Some of that was baby weight but most was there before I fell pregnant. While pregnant I had gestational diabetes so had to modify my diet significantly. I have kept up with this healthier eating since having the babies and also added in exercise at least 3 times a week. In the last few months though, my weight loss has stalled and as the pounds have stopped coming off, my motivation has faltered. When offered to opportunity to give the Slim Fast Challenge a go, I jumped at it. I’m hoping it will give me the kick start I need to get back on track. I’m also due back at work next month as would love to walk back into the office looking a million dollars and making them think I’m excelling at parenting 4 small people plus looking after myself! The Slim Fast 3-2-1 plan sounds perfect for me. The 3 snacks, 2 meal replacement bars or shakes plus 1 meal of 600 kcal should suit my busy days where I sometimes struggle to sit down to eat. It also still allows me to have an evening meal with the Mr and secretly put him on an evening meal diet too! I will be starting Monday morning and I’m quite looking forward to trying all the different flavours of shake and the snacks. Some of them sound really yummy and still allow me to have a hit of chocolate! If I can get down into the next stone bracket, a place I don’t think I’ve been since I was about 5 years old, I’ll feel that Slim Fast has been a success.